I took wednesday night off from costume sewing to attend a project class at the store where hubby bought my sewing machine. Its a very cute little quilting-focused store run by a husband-wife team up. Very nice people. And very good sales-people...I always leave poorer. 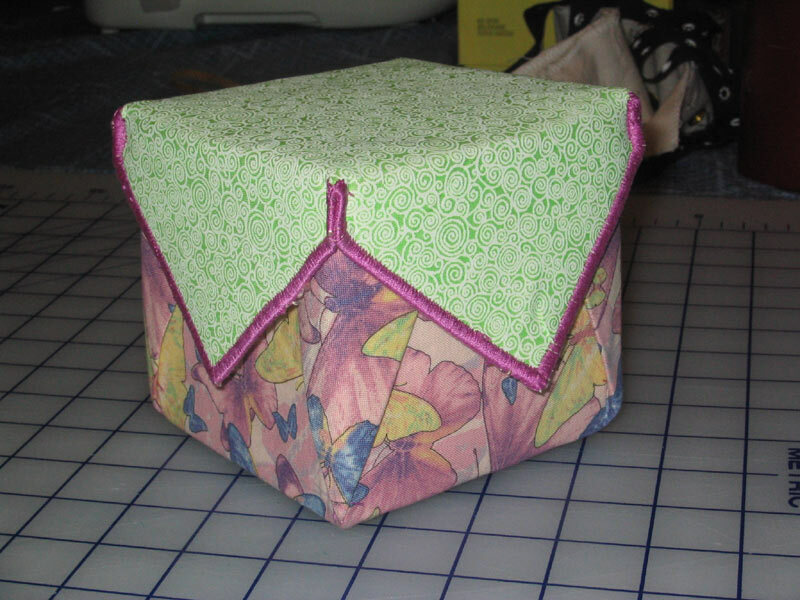 Anyway, I attended a class teaching how to make fabric boxes. We learned the basic box from this book. Mine turned out to be pink and green, since I've been on a green kick lately. I had a lot of fun doing this, and I can't wait to make some of the other designs from the book. Very cool. And just to remotely relate this post to my dress project: the really stiff interfacing we used to make the box rigid was called timtex, and its very thick and very sturdy. I think I will use this to make my fabric flag fan hold its shape. How's that for applying new knowledge? hehe. Lovely box! I was thinkign about all sorts of things you could make with your new skills! Did you have to get the book with the class? You mentioned that you would be making some more of the boxes. Very cool. yes, had to buy the book with the class. Which I'm happy for, actually, cuz there is an absolutely adorable one that I can't wait to make. 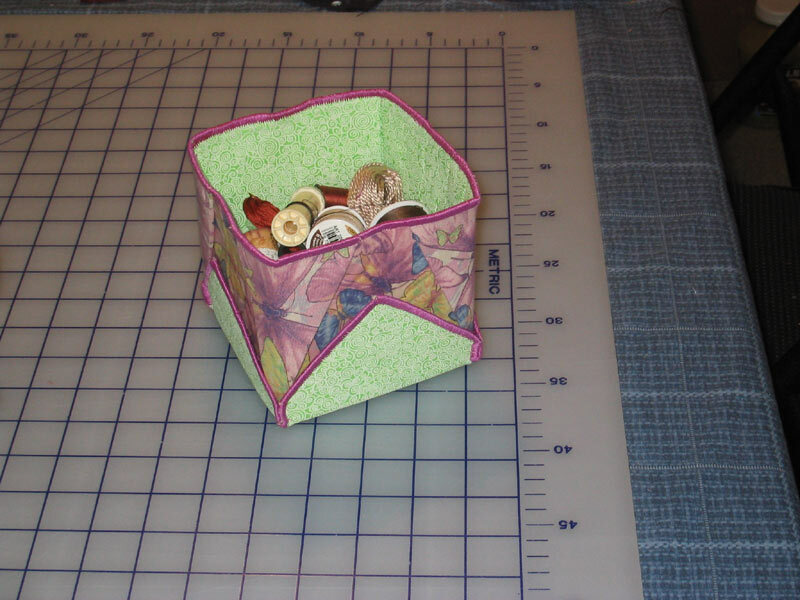 my mom was talking about making fabric boxes from a book and i had no idea what she was talking about. very cute!